CBD and Depression - what does research say? We've covered anxiety in-depth already. Let's talk about the twin issue of depression and CBD. 50% of people that experience one also gets hit with the other. They can go hand in hand with. "Hit" is the operative word. It's a brick wall! For anyone who has suffered or known someone close who has, it's a tremendous level of hardship. 15% of people will experience an episode of major depression during their life and that's probably underrated. People still feel a tremendous amount of shame and stigma from depression which doesn't make sense! I know first hand as I've seen the most upbeat person for 20 years get hit with a bout during perimenopause. As she put it, no amount of talk therapy, medication, or exercise was going to cut through the wall of hormones and neurotransmitters that were in flux. Our pantry is a killing field of supplement and medication bottles. None of that really touched it. But here we are...feeling 95% there. It was simply a function of restoring balance...hormones and neurotransmitters driven by some nutrition supplementation for genetic quirks. Just yesterday, she was laughing about the few sessions with the therapists. You can read more about her story here (especially if you're nearing or in perimenopause) but we're here to look at CBD. We saw the effect first hand but we want research! First, let's look at the enemy....depression itself. It's amazing that we work at all. The number of things that have to fire off at just the right amount and just right time...millions of time a second...in billions of cells! Now, we need to look at actors involved in the dance of feeling all right. Depression doesn't mean anything's wrong with you. It just means that chemistry isn't happening in body and brain at the ideal level. We're not talking about the occasional "feeling down" periods which we all get. Something just isn't flowing correctly. Before we get into CBD, we'll look at what's going on with depression. Those are big systems with different actors that are in a constant dance or...battle! The body and brain work this way. There some actors that will boost a given effect while others will reduce it. Too much can be bad (mania for example) while too little can be bad (depression). It's constant tug of war and various tripwires and checks/balances. We win when the two sides of a given partnered pair are in balance. Balance. Homeostatis (a big work to mean in a stalemate...balance). Remember those words...they're really important for CBD and depression. A quick (very) synopsis of the most critical actors for depression. Serotonin is your general "feel good"� hormone. It's a MAJOR player. Dopamine is your rewards hormone. Feeling joy in doing something! Progesterone is the mother of hormones and generally has a calming effect. All of these chemicals (and many others) have to balance out to feel "right"�. The neurotransmitters are operating on a timescale of 1000's of a second. The hormones are operating longer term and even cyclically (day/night, monthly, etc). Either way, this is a rich symphony of chemical sound where every instrument has to play at the right time, in the right note, and with the right pauses. Again...it's a miracle we can even get up in the morning. Let's address why sometimes we can't. Depression. All of these chemicals have to be in a certain balance. Homeostatis. There are mechanisms in the body to adjust when there's an outside influence (a tuba in the audience starts playing). Those are the basics we should interact with. Our bodies have had a few million years to adjust to those. Let's fast forward to the last 50 years. We all have this in our bodies now. Among them are eight perfluorochemicals used as stain and oil repellants in fast food packaging, clothes and textiles including the Teflon chemical PFOA, recently characterized as a likely human carcinogen by the EPA's Science Advisory Board - dozens of widely used brominated flame retardants and their toxic by-products; and numerous pesticides. Of the 231,000 chemical legal to use in food and products, most of them are not tested for effects on hormones and neurotransmitters. Most importantly, don't look for something bad if you think you might find it! Our poor poor nervous and endocrine system. It was designed for walking eight hours a day in the sun with an occasional lion scare. If the gyration of the monthly cycle (men have it too) can upset the apple cart, what does a steady flow of BPA (can lining that mimics estrogen) or one of the 13,000 chemicals found in cosmetics do? So we set the stage for depression. Of course there are genetic differences that might make some people for susceptible. For example, COMT is a gene that governs (among other things) the breakdown of cortisol and estrogen. If you have a faulty version, you don't break that down as well. You can't get rid of adrenaline basically! Women are hit by depression at double the rate than men. This is probably just a function of a much more complicated symphony (more hormones that need to come out just perfect). Post pardum depression, perimenopause depression, and even monthly cycle depression all point to the sophistication of a female's balancing act. In today's modern world of chemistry, this is EVEN trickier to pull off. So...where does CBD come into play? There's another system we need to talk about (the last one...I promise). Think of the endocannabinoid system as the conductor. Hey flute, a little less of you! In fact, it is system-wide. It's job appears to be the balance of the other systems. Check out our How CBD Works and the CBD Beginners Guide here for more background on this role. It might be the one point in the body that's just...getting...beat...up by our modern chemistry. It's overworked, understaffed, and falling behind. Mickey Mouse marshalling the buckets of water to no avail! 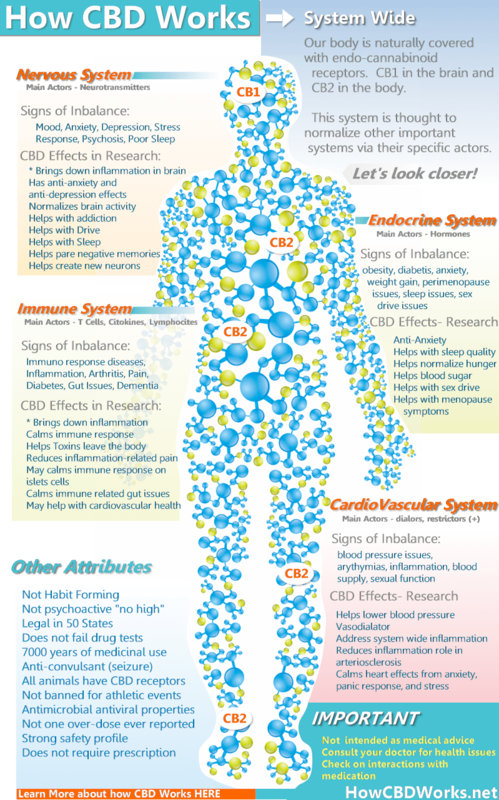 CBD exerts an influence on this endocannabinoid system which is sorely losing its battle for balance. It appears to interact with our own natural endocannabinoids like anandamide. There are over 150 research projects in the works now due to this seemingly powerful effect with such a high safety profile. Let's look specifically at what research is showing for CBD and depression. Lots to cover here and a slew of new experiments are on the way. First, some hints on how CBD is influencing depression. Some hints point to it's interaction with 5HT, an important intermediary for serotonin. 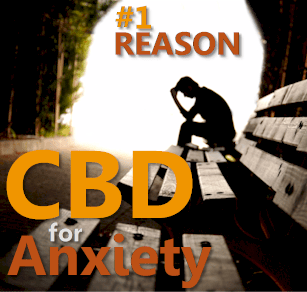 ...suggest that CBD exhibited an anti-anxiety and antidepressant effects in animal models discussed. Most of the studies demonstrated a good interaction between CBD and the 5-HT1A neuro-receptor. CBD showed a prohedonic effect on the WKY rats at 30 mg/kg in the SPT. 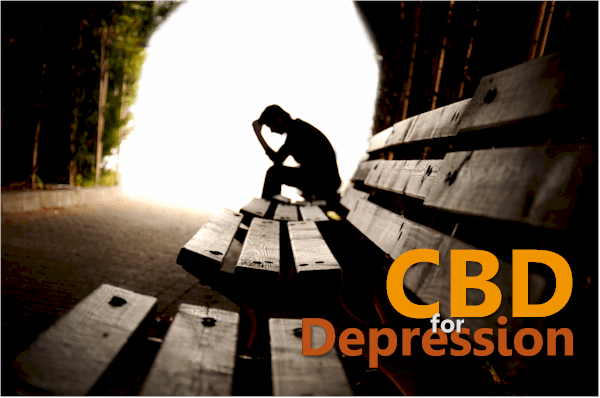 Depression is often exhibited as a lack of "lust for life"� so this small slice of behavior speaks positively for CBD. The non-CBD subjects showed no change in behavior. How fast does CBD work on depression...we need help now! our findings indicate that CBD could represent a novel fast antidepressant drug, via enhancing both serotonergic and glutamate cortical signaling through a 5-HT1A receptor-dependent mechanism. Okay...so it worked very quickly on the 5HT system and serotonin and glutamate are both in play (remember those names from our explanation above??). What about the endocannabinoid system itself which we naturally have in our body? It must be at play if CBD is showing anti-depressive effects. Let's boil this one down since it's interesting. They basically gave standard anti-depressants to see if it measured levels of natural endocannabinoids in different regions of the brain. This means that the root (or a root) of depression resides in the endocannabinoid system and we've been impacting it in a round-about way with antidepressants (albeit with many side effects). 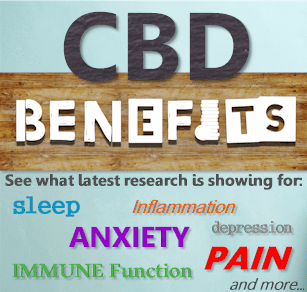 CBD impacts it directly with few if any side effects! It's not just about balancing chemicals. Human brains are much more complicated than that. There's stress, traumatic events....we all have a past! CBD appears to help grow new neurons and neuronal connections and even help us forget bad ones! This goes to HEALING...our minds! increase cellular plasticity and neurotrophin expression within the hippocampus; and dampen activity within the neuroendocrine stress axis. This is why CBD has much interest in dealing with PTSD and other trauma related issues. What about other aspects of health that correlate with depression...like blood pressure. CBD also exerts an effect on blood pressure which correlates with depression in women. In females with depression, both diastolic and mean arterial blood pressures were positively correlated with serum contents of the endocannabinoids, N-arachidonylethanolamine (anandamide) and 2-arachidonoylglycerol. One more chip away at the mystery that is (not for long) depression...especially for women who are hit at twice the rate as men. So why do some people feel depression, especially as a result of stress? were significantly reduced in women with major depression relative to matched controls, indicating a deficit in peripheral endocannabinoid activity. There's even evidence that our traditional line of anti-depressants (with terrible side effects) are ultimately trying to correct activity in the endocannabinoid. clinical populations diagnosed with depression are found to have reduced levels of circulating endocannabinoids and preclinical models of depression reveal a deficit in central endocannabinoid signaling. Moreover, facilitation of endocannabinoid signaling is sufficient to produce all of the behavioral and biochemical effects of conventional antidepressant treatments. Again, there are dozens of big studies in the works for CBD and depression. The good news is this...you can quickly see if it works for you with very little downside. Speaking of which, what are the side effects of CBD? The safety profile is very strong. Really? Isn't that what we're trying to help? If you're reading this (especially this far), we don't need to tell YOU about antidepressant side effects. You know all too well. You can learn about CBD and safety here. Looking at the research up above, CBD's effects can be very fast! The CBD oils can take 20-30 minutes to start their effects but they're longer lasting. The vapes can be almost instantaneous. Some people use the oils for chronic maintenance and the vapes for spot needs. 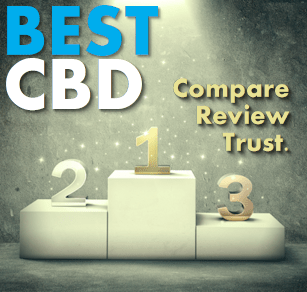 Let us know your CBD results here to help others! We'll discuss the type of CBD delivery below. What about full spectrum versus CBD Isolate? Full Spectrum versus Isolate for depression is interesting. As we mentioned above, some of the other cannabinoids might also have anti-depressant effects..
CBC for example is showing promise. We expect much more research on the other cannabinoids shortly. The big plus for CBD isolate (by itself) is that many people have histamine reactions to plant substances and/or botanicals. There are other substances (which can be good for you) in hemp oil such as terpenes, flavanoids, and more. If you have a sensitive system, these may not make you feel well. We would hate for people to miss out on the benefits of CBD due to an allergic reaction to other substances in the plant. Maybe start with isolate and go forward from there! You can also see the comparison of CBD brands here. Let's help each other as CBD helps us! 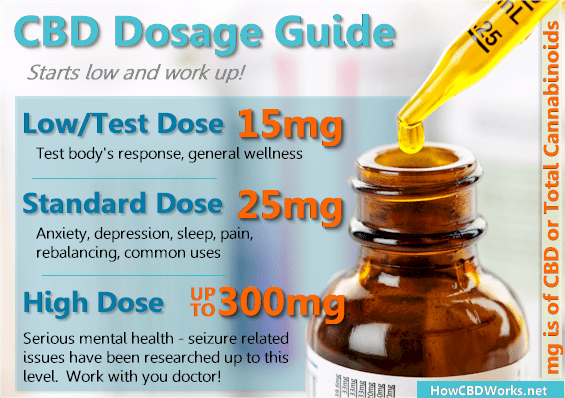 This is a common question...how much CBD should I take for depression. 25-30mg is generally thought of as the baseline for ongoing therapeutic results with depression. Higher doses of 300-600mg have also been tested for more acute and serious depression. There's even studies up to 1500mg (mainly to test safety). If 600mg was used for addressing psychosis, depression should fall within or below that range. Again, let us know your results based on dosage here. There are alot of bad brands out there. Just trying to cash in on the CBD craze. That's partially why we built this site...to weed (sorry) out the bad CBD. You can even shop by CBD for depression. We are SO excited after hearing feedback from people with depression. We're talking about a massive reduction in suffering with little to no side effects. That can bring a smile to all our faces!